18 CD Album - The book of Proverbs was written for two groups of people - those who know they need wisdom and those who don’t. Regardless of which category you fall into, if you’re looking for the road map to a blessed life, you’ll find it in Proverbs. 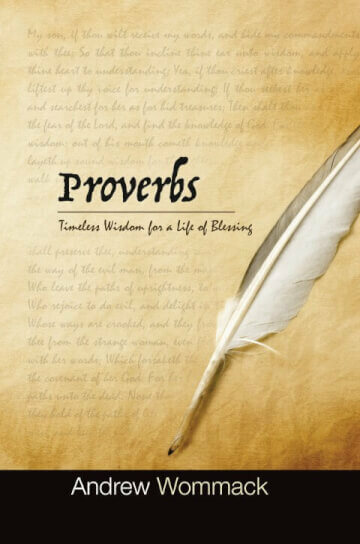 And Proverbs: Timeless Wisdom for a Life of Blessing is an in-depth, verse-by-verse study of all thirty-one chapters! Covering topics such as character, wealth, business, child-rearing, and politics, this teaching provides practical answers and sound advice for everyday living. Let Andrew walk you through the enduring principles that lead to a life of godliness, prosperity, and contentment. If you’re looking for the wisdom you need to live a life of blessing, this teaching is for you!